Search results will be shown in a Google page with ads. This is an external site over which the garden clubs have no control. To return to this website, click on one of the search results or your browsers' back button. The Tri-Town garden clubs welcome all who would like to learn, help beautify our towns, and participate in one of our great community traditions. Each of the clubs has its own history, programs and events. Some share certain projects and programs, and all meet together once a year. To learn more about a particular club, click on its name to the left under "Club Pages." The Tri-Town garden clubs preserve and promote the rich agricultural and horticultural heritage that shapes the character of our towns. Community gardening projects, educational programs, conservation activities and social events bring members together around their love of gardening, appreciation for our natural resources and desire to contribute to the betterment of the towns of Boxford, Middleton and Topsfield. This website is sponsored by the Topsfield Garden Club in service to the clubs in the Tri-Town area. E-mail communications sent to the address below will be forwarded to the appropriate club or shared with all clubs, depending on content. We welcome questions and information from non-profit entities who share our goals. Coming on April 13th, 2019 - Even bigger! The Topsfield Garden Club partnered with Wm. 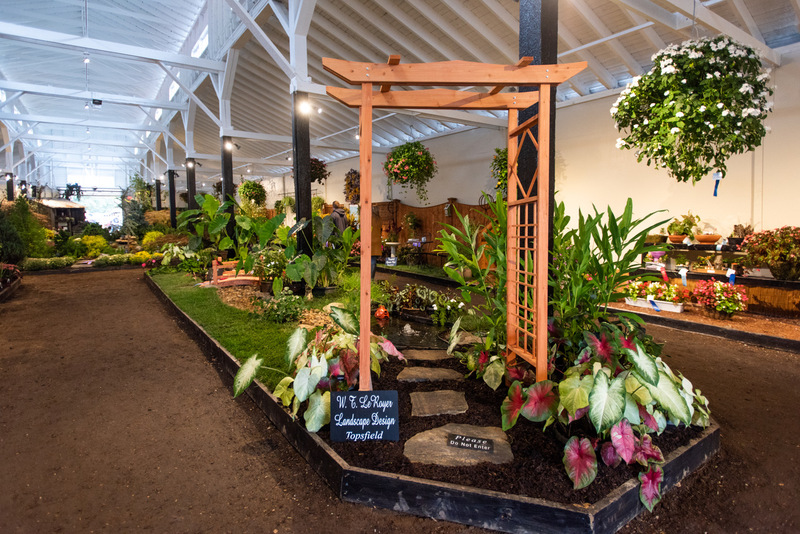 T. LeRoyer Landscape and Design and Country Gardens to create this Feature Exhibit. The Tri-Town Transcript has run monthly features on the Tri-Town garden clubs. Each club will have an introductory column to be followed by garden-related stories. Links to the on-line edition appear below.